Kate Just, ‘Double Happiness (Queer Love)’, 2019. Hand and machine stitched brocade fabric & timber, 187 x 145cm. Courtesy: the artist and Hugo Michell Galley, Adelaide. 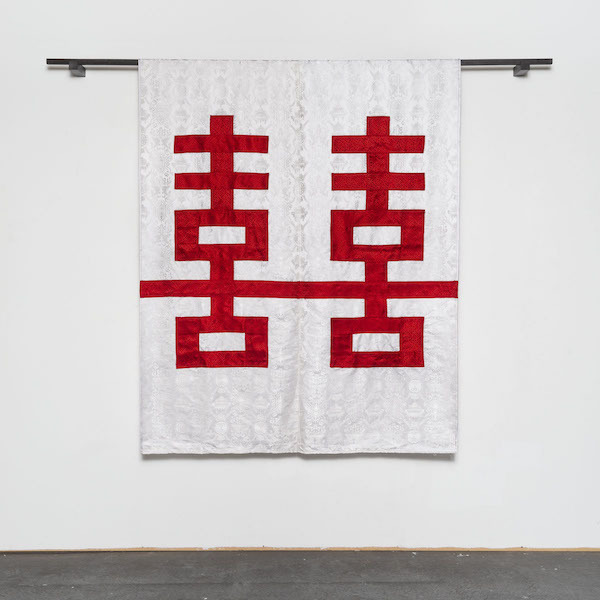 From China With Love is a series of hand-sewn textile hangings and a photograph produced during a residency at Red Gate in Beijing in 2018. ‘From China With Love’ is inspired by images and ideas of love, relationships, and feminism in China.